“The evidence from the Baringa report is clear. An electricity system using 70 per cent renewable energy by 2030 is not only practical, it is – at a minimum – cost neutral for the consumer. “With the right leadership we can be ambitious for Ireland’s energy future, for our role in the fight against climate change and show our determination to support the Paris Agreement. Michael McCarthy, CEO of the Irish Solar Energy Association, said: “Setting a 70 per cent target for renewable electricity by 2030 is essential if Ireland is to live up to the Taoiseach’s own stated position on the importance of climate change as a key policy priority. “This is a unique opportunity for Ireland to lead by example across the EU, making best use of solar, wind and other renewable resources and facilitating the electrification of the heat and transport sectors. Increasing the renewable electricity target will lead to more clean energy production, more jobs, more local investment and a better environment. 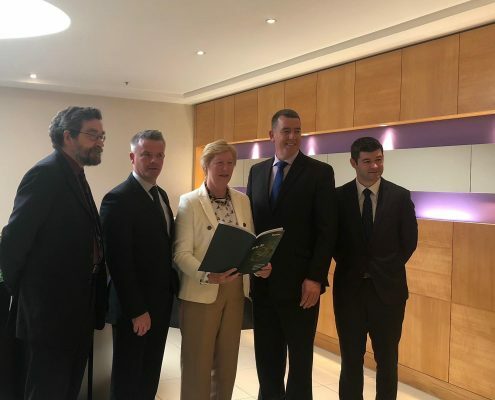 Des O’Toole, President of the Irish Bioenergy Association, said: “We support the call for a 70 per cent target for renewable electricity by 2030 and we believe that the bioenergy sector will play a crucial role in delivering on this ambitious target. Grattan Healy, Chairman of the Irish Wind Farmers Association, said: “Renewables are a key to the revitalisation of rural Ireland because they are by nature a dispersed resource which everyone can tap into, creating local employment and reducing imports nationally and locally of expensive and damaging fossil fuels. Paddy Turnbull, Chairperson of Smart Grid Ireland, said: “Smart Grid Ireland fully endorses this push to achieve 70% renewables by 2030. Putting this target into our national policy will fully align Ireland with the worldwide consensus that that climate change is an imminent threat that can be addressed through the decarbonisation of the global energy system. 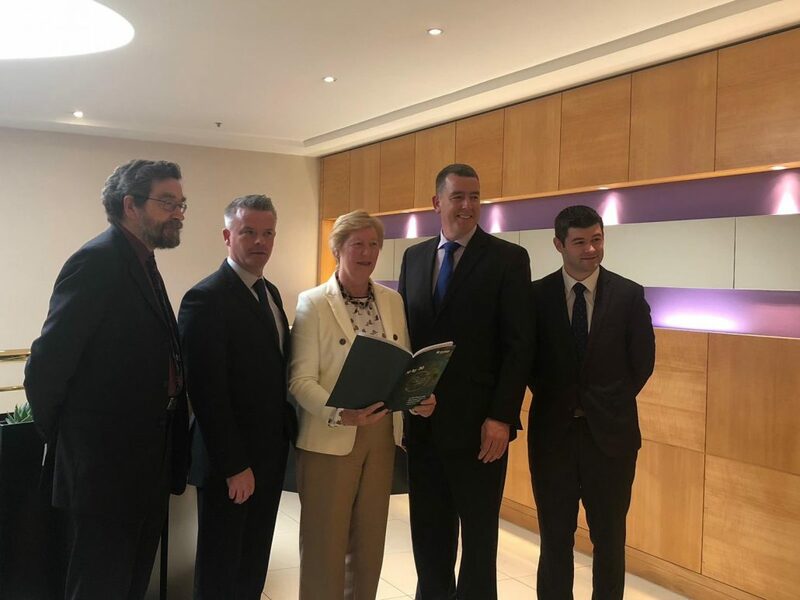 In June 2018 the EU agreed to increase the share of renewables in energy to 32 per cent by 2030 and in December the Irish Government will publish its draft National Energy and Climate Plan (NECP). This plan will set out Ireland’s 2030 renewable energy target and likely will, like the 2020 target, be broken down across the electricity, heat and transport sectors.